Below are some events that changed the world and my recollection of them at the time. In most cases I can remember what I was doing on that day and you should have similar recollection (assuming you were around at the time), perhaps? 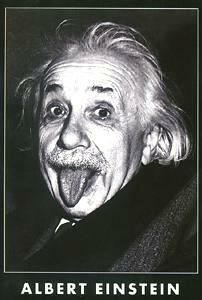 Death of Albert Einstein (18/4/1955), I don't remember this at all as it was two months before I was born! Assassination of J F Kennedy (22/11/1963), I've a vague recollection of this and remember my parents talking about it. At the time we were living in Cyprus (17 Westmorland Park) on Episkopi base. England win the Football World Cup (30/7/1966), I remember this very well and at the time I was living with my parents at 17 Westmorland Park, Cyprus. We use to replay the game of England v Germany in the street outside our house. I also remember a World Cup Willie jigsaw puzzle. The Torrey Canyon Supertanker disaster (18/03/1967), I remember this and the vivid pictures of the RAF bombing it. We were still in Cyprus at the time but this was the year that we moved back to Blightly (Englang). First Man on the moon (20/07/1969). This is the clearest memory so far. I remember listening to the radio and watching the "grainy" black and white TV pictures. We were living in 64 Manor Gardens, Buckden, Cambridge at the time. I bought the commemorative "Moon Landing" record (single vinyl 45) and still have it. Death of Princess Diana (31/08/1997), My Dad always use to ring me at 10.00 am each Sunday morning and on the day he rang much earlier to tell us about this tragedy. At the time I was living in Bicester with Diann and remember us staying glued to the box all day. Attack on the twin towers (01/09/2001). I was at my desk at Heathrow airport when a colleague rang to say that a plane had crashed into one of the twin towers. We quickly turned to the news on the internet and then the true horror began to unfold. By the close of play on the day, over 3000 people (67 British) died and the world changed for ever.